صدیقی, محمد, فاضلی, محمدرضا, جباری مستحسن, امیرحسین. (1397). تولید ورق منیزیمی با لایه کامپوزیت سطحی پایه منیزیمی به منظور بهبود خواص سختی و سایشی. علوم و فناوری کامپوزیت, 5(4), 575-582. محمد صدیقی; محمدرضا فاضلی; امیرحسین جباری مستحسن. "تولید ورق منیزیمی با لایه کامپوزیت سطحی پایه منیزیمی به منظور بهبود خواص سختی و سایشی". علوم و فناوری کامپوزیت, 5, 4, 1397, 575-582. صدیقی, محمد, فاضلی, محمدرضا, جباری مستحسن, امیرحسین. (1397). 'تولید ورق منیزیمی با لایه کامپوزیت سطحی پایه منیزیمی به منظور بهبود خواص سختی و سایشی', علوم و فناوری کامپوزیت, 5(4), pp. 575-582. صدیقی, محمد, فاضلی, محمدرضا, جباری مستحسن, امیرحسین. تولید ورق منیزیمی با لایه کامپوزیت سطحی پایه منیزیمی به منظور بهبود خواص سختی و سایشی. علوم و فناوری کامپوزیت, 1397; 5(4): 575-582. منیزیم و آلیاژهای آن به عنوان سبک‌ترین فلز تجاری با نسبت استحکام به چگالی بسیار بالا، مورد توجه روزافزون قرار گرفته ‌است. بااینحال، خواص نامطلوبی از قبیل سختی و مقاومت سایشی پایین، سبب محدودیت در کاربرد‌های این فلز منحصربه‌فرد شده‌است. تبدیل منیزیم به کامپوزیت پایه منیزیمی علاوه بر افزایش استحکام، سبب بهبود میزان سختی و مقاومت به سایش می‌گردد. از آنجا که تبدیل کامل یک قطعه فلزی به کامپوزیت ممکن است سبب تردی و همچنین افزایش هزینه‌های تولید شود، ایجاد کامپوزیت سطحی می‌تواند به عنوان راهکاری مناسب مورد توجه قرارگیرد. در این مقاله با استفاده از فرآیند نورد گرم و لایه واسطی از فلز روی، یک لایه کامپوزیت سطحی پایه منیزیمی (تهیه شده به‌روش ریخته‌گری هم‌زنی) به زیرلایه منیزیمی اتصال داده شده و ورق منیزیمی با پوشش کامپوزیتی تهیه گردیده‌است. استفاده از این روش می‌تواند سبب تولید ورق‌های منیزیمی با لایه کامپوزیت سطحی با سرعت تولید بالاتر و هزینه کمتر شود. لایه روی استفاده شده علاوه بر اتصال دو لایه به یکدیگر، سبب حفاظت سطح آن‌ها از اکسیداسیون در طول فرآیند نورد گرم شده و نیاز به استفاده از اتمسفر کنترل شده را برطرف می‌نماید. نتایج نشان دهنده ایجاد اتصالی مناسب بین کامپوزیت سطحی و زیرلایه منیزیمی می‌باشد. طبق آزمون میکروسختی، مقدار سختی در کامپوزیت سطحی نسبت به لایه منیزیمی در سطح‌مقطع نمونه 23% و بر روی سطح آن حدود 52% افزایش یافته‌است. همچنین مقاومت به سایش در لایه کامپوزیتی نسبت به زیرلایه منیزیمی بهبود قابل‌توجهی به میزان 43% داشته‌است. نرخ سایش نیز در لایه کامپوزیتی با کاهش مواجه شده‌است. 2School of Mechanical Engineering, Iran University of Science and Technology of Iran, Tehran, Iran. Nowadays, there is an increasing demand for magnesium and its alloys as the lightest commercial metal with a high strength to density ratio. Nevertheles, afew undesirable properties, such as low hardness and poor wear resistance, have limited the applications of this exclusive metal. Fabrication of magnesium matrix composite could improve hardness and wear resistance in addition to strength increasing. Since converting all of a metal piece to composite could make it more brittle and increase the costs, fabrication of surface composite could be a solution. In this paper, a magnesium sheet with a surface composite has been fabricated by applying warm rolling process. Indeed, a layer of magnesium matrix composite (which has been fabricated by stir-casting) has been conjoined to a magnesium substrate layer using a zinc interlayer. This method could increase the production speed and decrease the costs. In addition to the connection of two layers together, the zinc interlayer would preserve the surfaces of the layers from oxidation without using any controlled atmosphere. The results show a proper connection between the surface composite and the substrate. According to the microhardness results, the hardness of surface composite increased about 23% and 52% in the cross-section and the surface, respectively. Moreover, wear resistance of surface composite improved about 43% in comparison to magnesium substrate. Also, wear rate decreased in the surface composite. 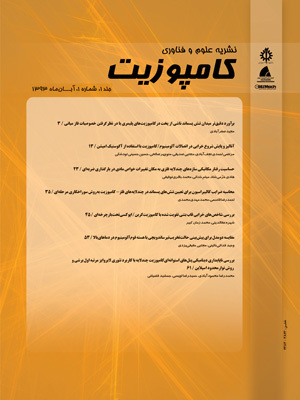 Shafiei-Zarghani, A., Kashani-Bozorg, S.F. and Zarei-Hanzaki, A., ''Microstructures and Mechanical Properties of Al/Al2O3 Surface Nano-Composite Layer Produced by Friction Stir Processing'', Materials Science and Engineering A, Vol. 500, No. 1-2, pp. 84-91, 2009. Faraji, G. and Asadi, P., ''Characterization of AZ91/alumina Nanocomposite Produced by FSP'', Materials Science and Engineering A, Vol. 528, No. 6, pp. 2431-2440, 2011. Azizeh, M., Kokabi, A. H. and Abachi, P., ''Effect of Rotational Speed and Probe Profile on Microstructure and Hardness of AZ31/Al2O3 Nanocomposites Fabricated by Friction Stir Processing'', Materials and Design, Vol. 32, No. 32, pp. 2034–2041, 2011. Khayyamin, D., Mostafapour, A. and Keshmiri, R.,''The Effect of Process Parameters on Microstructural Characteristics of AZ91/SiO2 Composite Fabricated by FSP'', Materials Science & Engineering A, Vol. 559, pp. 217–221, 2013. Dutta Majumdar, J., Ramesh Chandra, B., Galun, R., Mordike, B. L. and Manna, I., ''Laser Composite Surfacing of a Magnesium Alloy with Silicon Carbide'', Composites Science and Technology, Vol. 63, No. 6, pp. 771–778, 2003. Dutta Majumdar, J., Ramesh Chandra, B. and Manna, I., ''Friction and Wear Behavior of Laser Composite Surfaced Aluminium with Silicon Carbide'', Wear, Vol. 262, No. 5-6, pp. 641–648, 2007. Zheng, B. J., Chen, X. M. and Lian, J. S., ''Microstructure and Wear Property of Laser Cladding Al+SiC Powders on AZ91D Magnesium Alloy'', Optics and Lasers in Engineering, Vol. 48, No. 5, pp. 526–532, 2010. Vaziri, S. A., Shahverdi, H. R., Shabestari, S. G. Hazeli, K. and Torkamany, M. J., ''Effect of Re-scanning on Tribological Characterization of Laser Surface Alloyed Layers'', Materials and Design, Vol. 31, No. 8, pp. 3875–3879, 2010. Lin, P., Zhang, Zh. and Ren, L., ''The Mechanical Properties and Microstructures of AZ91D Magnesium Alloy Processed by Selective Laser Cladding with Al Powder'', Optics &Laser Technology, Vol. 60 pp. 61–68, 2014. Zhang, Zh., Lin, P. and Ren, L., ''Wear Resistance of AZ91D Magnesium Alloy Processed by Improved Laser Surface Remelting'', Optics and Lasers in Engineering, Vol. 55, pp. 237–242, 2014. Taltavull, C., López, A. J., Torres, B. and Rams, J., ''Dry Sliding Wear Behaviour of Laser Surface Melting Treated AM60B Magnesium Alloy'', Surface & Coatings Technology, Vol. 236, pp. 368–379, 2013. Meng, G., Yue, T. M., Lin, X., Yang, H., Xie, H. and Ding, X., ''Laser Surface Forming of AlCoCrCuFeNi Particle Reinforced AZ91D Matrix Composites'', Optics & Laser Technology, Vol. 70, pp. 119–127, 2015. Ren, X. D., Huang, J. J., Zhou, W. F., Xu, S. D. and Liu, F. F., ''Surface nano-crystallization of AZ91D magnesium alloy induced by laser shock processing'', Materials and Design, Vol. 86 , pp. 421–426, 2015. Riquelme, A., Rodrigo, P., Dolores Escalera-Rodríguez, M. and Rams, J., ''Analysis and Optimization of Process Parameters in Al–SiCp Laser Cladding'', Optics and Lasers in Engineering, Vol. 78, pp. 165–173, 2016. Elahi, M. R., Heydarzadeh Sohi, M. and Safaei, A., ''Liquid Phase Surface Alloying of AZ91D Magnesium Alloy with Al and Ni Powders'', Applied Surface Science, Vol. 258, No. 15, pp. 5876– 5880, 2012. Lotfi, B., Rostami, M. and Sadeghian, Z., ''Effect of Silicon Content on Microstructure of Al−Si/SiCp Composite Layer Cladded on A380 Al Alloy by TIG Welding Process'', Transactions of Nonferrous Metals Society of China, Vol. 24, No. 9, pp. 2824−2830, 2014. Schneider, C. and Enzinger, N., ''Characterisation of Interface of Steel/Magnesium FSW'', Science and Technology of Welding & Joining, Vol. 16, No. 1, pp. 100-107, 2013. Mohammadi, S., Jabbari, A. H. and Sedighi, M., “Mechanical Properties and Microstructure of Mg-SiCp Composite Sheets Fabricated by Sintering and Warm Rolling”, Journal of Materials Engineering and Performance, Vol. 26, No. 7, pp. 3410-3419, 2017. Archard, J. F., ''Contact and Rubbing of Flat Surfaces", Journal of Applied Physics, Vol 24, No 8, pp. 981-988, 1953. Srinivasan, M., Loganathan, C., Kamaraj, M., Nguyen, Q. B., Gupta, M. and Narayanasamy, R., ''Sliding wear Behaviour of AZ31B Magnesium Alloy and Nano-Composite'', Transactions of Nonferrous Metals Society of China, Vol. 22, No. 1, pp. 60-65, 2012.